INDUSTRY SERVED: Paints, Latex / Foam, Pigments, Plastic, Chemicals, Ceramics, Pharamaceuticals, Glazes, Dyes, Polymers, Colours, Rubber, Quartz, Clay, etc.. Size (Inches): 9 In.x 4.25In. x 2.75In. 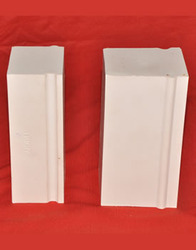 We are one of the leading Exporters and Importers of High Alumina Lining Bricks in the market. 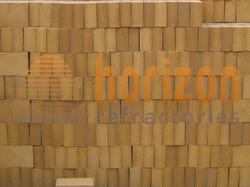 The Bricks are available in various shapes and sizes. They are manufactured using advanced technology and process.